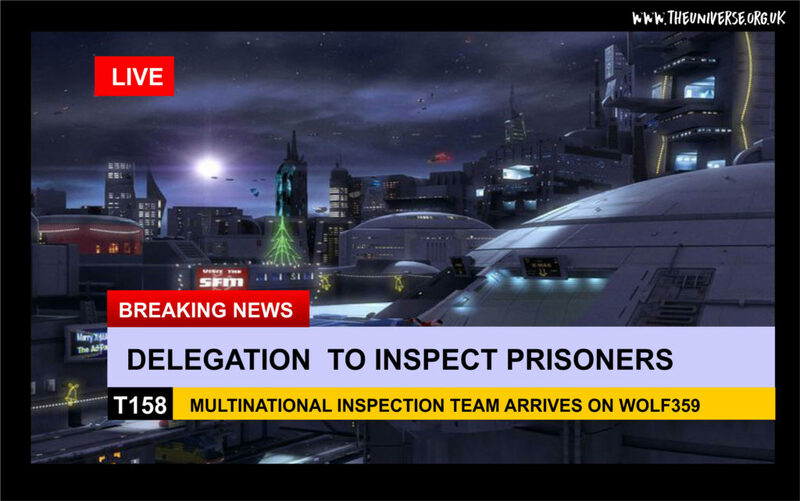 Wolfer official news sources have confirmed the arrival of the multi-national inspection team, who will be taken to the classified location of the kidnapped Zubatians to verify their welbeing. 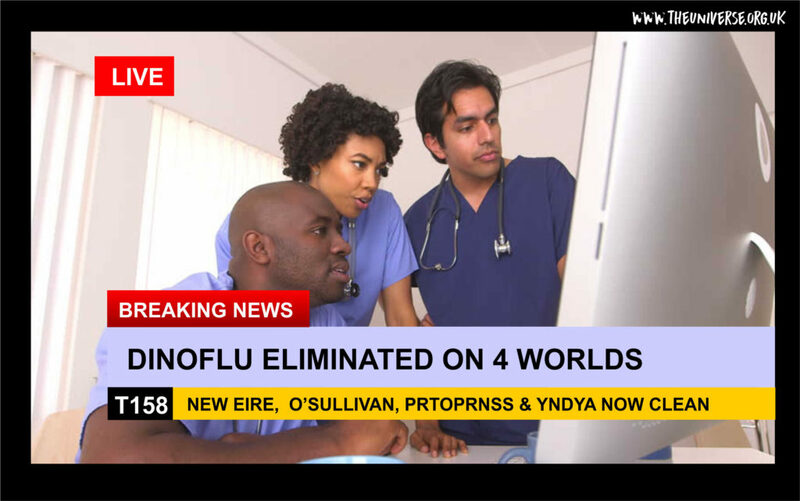 Following strenuous quarantine and medical interventions, four worlds previously reported to be suffering badly from the DinoFlu pandemic are now decleared safe – it being an entire octant since the last case on any of them. Medical teams are confident that the number of worlds declared safe will continue to grow over the coming year. 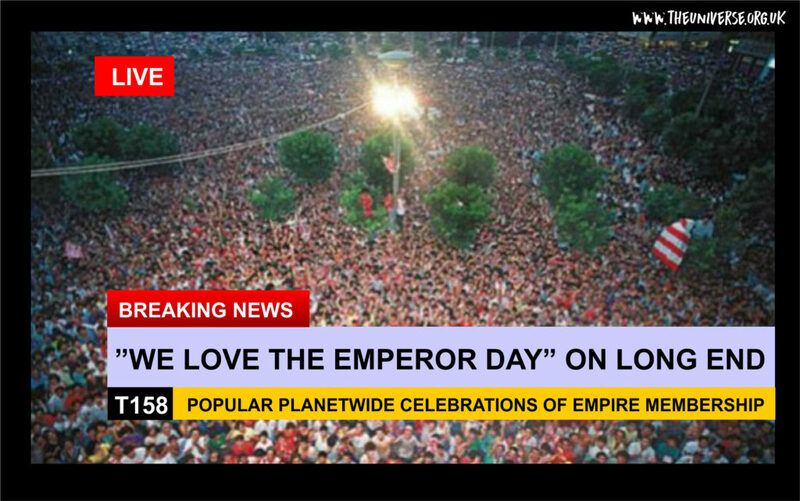 Spontanously organised by the citizens of the planet, it is thought this has occured due to some very good political leadership of the local government and governor, and a real sense that being part of the Empire has made a real positive idfference to everyday life. This is a happy world. President Jackson is consistently achieving 70% approval ratings accoring to independent observers. 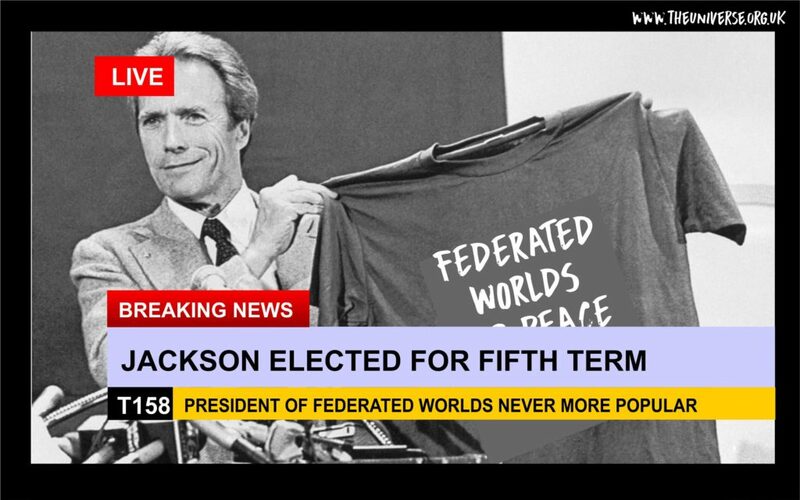 Under his leadership it is felt that the Federated Worlds has become a force for peace and stability in Quadrant 1. “We were plagued by our consciences” said one of those arrested … “we had been abusing our positions, and it just didn’t seem right any more, especially when everyone else had been working so hard for the greater good of the colony”. The arrested politicians may have their sentences mitigated because of their confessions, but will certainly face pretty stiff punishment. 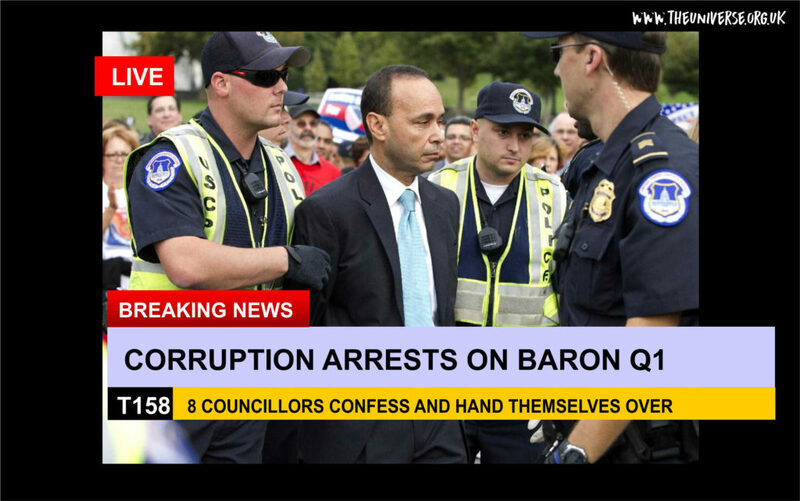 A number of civil officials have also resigned “for personal reasons”. “They are like tides or waves between planets in a star system” said Professor Aktion the lead scientist at the Solar Institute of Science on Luna. She went on to say “… the quantum flow phenomena have been known, at some level, for centuries, and these particular fluctuations have been in the data all along. It was only as a result of a chance conversation at the water cooler between two researchers, Prof Janet Ffoulkes working on dimensional transfer theory and a junior cosmologist Dr Hans Stone, that the data was looked at from a different perspective – where previously this had been filed under ‘…we know all about this, nothing to see here…’ we appear to have made the first fundamental scientific advancement in 400 years. Of course, the work has yet to be peer reviewed, but we have circulated the findings to all major institutes in human space for confirmation (or not)”. 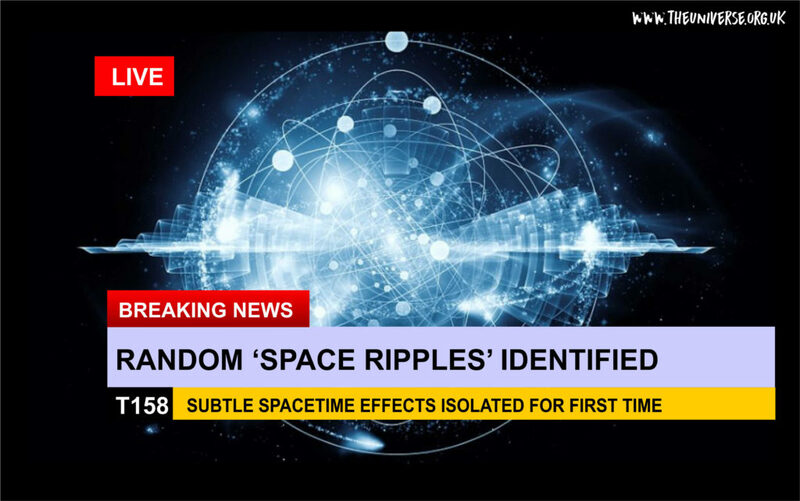 This discovery is not just causing ripples in space-time it is causing tidal waves in the scientific community because some are already speculating that this might cause a revision to humanity’s understanding of the nature of spacetime, parallel dimensions, time and the universe.